Patric Didier Claes is an expert in African art, specialising in the arts of Central Africa. His association with the culture and traditions of Africa began when he was very young. During his many travels to the Congo he broadened his knowledge of the subject and located valuable objects for dealers in Brussels, Paris, and New York. In 2000, Didier Claes began displaying his own selection of art works at various fairs, including the International Tribal & Textile Arts Show in New York, the Foire des Antiquaires, Bruneaf, and Grands Antiquaires in Brussels, and the Parcours des Mondes and the Salon du collectionneur at the Grand Palais in Paris. Since 2005, he has been a member of the Belgian Chamber of Art Experts. He also belongs to the Belgian Royal Chamber of Antiques and Art Dealers and the Syndicat National des Antiquaires français. In 2008, Didier Claes takes part in his first edition of TEFAF (The European Fine Art Fair) in Maastricht, prestigious Antique Fairs. Didier Claes is also engaged in a number of other projects. As Vice-Chairman of Bruneaf, he was the co-curator of the Mestach l'Africain exhibition in 2007 and then of Congo Mythical Masks in June 2009, both in Brussels. In 2011, he co-curated Arts d'Afrique. Voir l'invisible at the Musée d'Aquitaine in Bordeaux and edited the book Empreintes d'Afrique: l'art tribal au fil des fleuves for 5 Continents Editions. 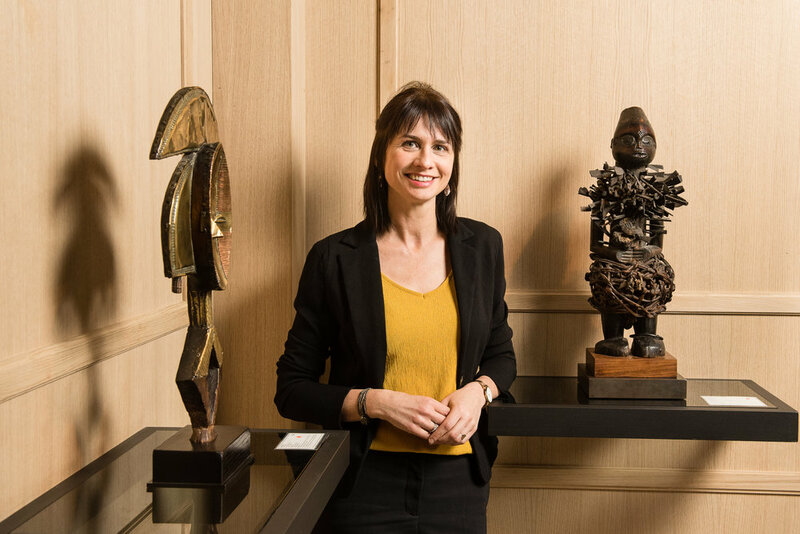 Didier Claes has served for several years as the official expert on African art for the auction house of Pierre Bergé & associés in Brussels. In 2015, Didier Claes is curator of the exhibition Uzuri wa Dunia ( Beauty in the world in Swahili), which brought together 130 masterpieces at the former nunciature in Brussels, on the occasion of 25 years of Bruneaf. Didier Claes was also expert for several years for the auction house Pierre Bergé & associés in Brussels. His display of a unique Bakongo sculpture at BRAFA (Brussels Antiques and Fine Arts Fair) in 2011 created something of a sensation, and demonstrated his serious concern with quality Didier Claes's nomination as Vice-Chairman of BRAFA in 2012 represents a gratifying recognition by his peers of the eminence he has achieved in his field. His first appearance at the Biennale des Antiquaires in Paris at the Grand Palais in September that year won him high praise from both the public and the press.